As someone who owns forestland, I am a big fan of any industry that uses timber. Sawmills and paper mills were what kept food on the table when I was growing up. So you would think that I would be all in favor of the Shandog Sun Paper mill being built in Clark County. But I’m not. You see, while I love the timber industry, I hate crony capitalism – and this paper mill is a shining example of the rot that comes from government getting entangled with promoting private industry. 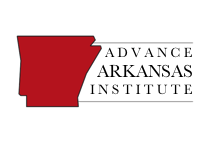 The latest outrage concerning this mill is Governor Asa Hutchinson’s quest to obtain federal approval to exempt imported equipment for the mill exempt from newly-announced federal tariffs. I think that these tariffs are very bad policy that will hurt the economy and kill jobs, but I also think that politically-connected businesses should not receive an exemption from them. If tariffs are to be imposed, then they should be imposed uniformly. Merely because a company has the ear of the governor is not a good reason for that company to be exempt from tariffs when other companies must pay them. This, of course, is merely one more example in a long line of special favors that this company is receiving from state officials. The state will refund the plant’s owners for any sales tax paid on purchases for the plant’s construction. The state will also provide a 30% income tax credit on equipment purchases. The state will train the plant’s workers at a cost of up to $3 million. The state will provide a $50 million loan for construction. While everyone else pays 100% of the property tax rate, this plant will only pay 35% of the property tax rate. The government will build a rail system for the plant. The state will provide $12.5 million in infrastructure and site improvement for the plant. Clark County will build a new landfill for the plant’s use. Obviously, this plant will create new jobs in the area. It will obviously help sustain the local timber and logging industries. These are the seen benefits of this project, but we also have to look at the unseen costs – what could have been done with the millions of state and local tax dollars that are pouring into this plant? This could have paid for improvements in government services or it could have been returned to the taxpayers as a tax cut. In addition, there is little evidence that these types of business subsidies increase overall economic activity. 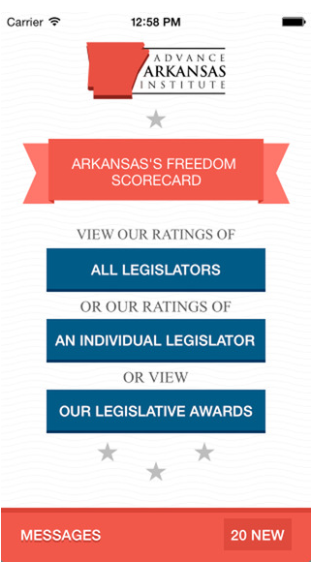 Our friends at the Arkansas Center for Research in Economics have done some great work on this issue. A recent paper written by their scholars examining the state’s Quick Action Closing Fund (QACF) concluded this: “We find little evidence to suggest that the QACF creates significant job and establishment growth.” In other words, all this taxpayer money touted as being for “economic growth” and “job creation” was wasted. These subsidies merely direct economic activity in ways that are favored by government officials. That is a huge distortion of the free market. It is economic growth by government edict, which is the exact opposite of what you would expect from a conservative governor. Besides being a violation of supposed conservative principles, these subsidies don’t even work as intended (as ACRE’s research shows). 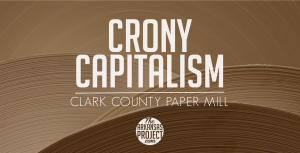 From lavishing millions of taxpayer dollars on this plant to attempting to get the plant’s equipment exempted from federal tariffs, this paper mill project has been an egregious example of the worst excesses of crony capitalism. Those who support the free market should be outraged at what is happening here. ← Have You No Shame, Conduit for Action?